The Brit is preparing for the defence of his crown when the season gets underway on March 25 in Melbourne. Hamilton enjoyed a productive second testing week at the Circuit de Catalunya in Barcelona last week. And the 32-year-old is preparing to set off for Australia later this week. 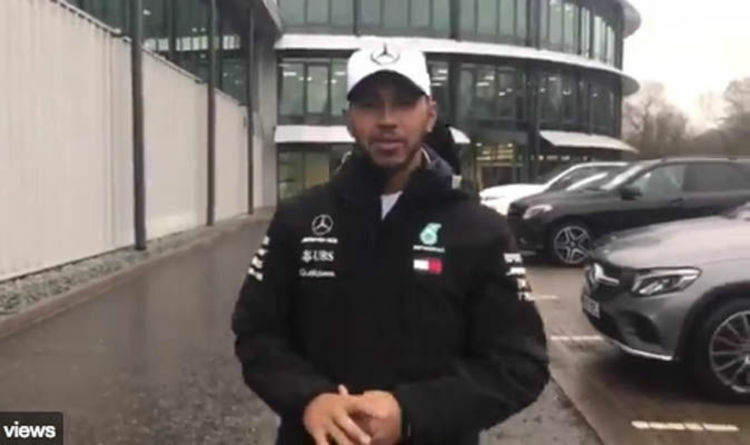 But before he left the UK, Hamilton wanted to send a message to his fans. "What's up everyone, here we are in Brackley," he said in a Twitter message on Mercedes' official account. "It's beautiful, rainy, English weather. "Last couple of days here in the factory, getting ready to go to Australia next week. "I leave on Saturday and I just wanted to say I can't wait to see some of you out there. "I'm going to be giving everything to make sure we are where we need to be. Hamilton has enjoyed some success at the Melbourne track, winning twice there during his career. However, Ferrari duo Sebastian Vettel and Kimi Raikkonen have also recorded two victories each at the venue in the previous 11 years.